Planting and regularly watering frost-tolerant flowers will ensure that your garden wows in the wintertime. Get started in early fall, before the ground freezes, and watch your cold weather flowers survive and thrive throughout the winter and beyond. Winter aconites grow from bulbs in hardiness zones four through eight. They produce yellow, buttercup-shaped flowers an inch in diameter. Plant the base of the tuber 2 or 3 inches from the top of the soil's surface. The yellow, orange and red flowers of witch hazel only last a month, and they bloom from late fall to late winter in zones four through nine. This deciduous shrub grows as high as 20 feet. Allow plenty of room for growth when you plant it, and water it well. Snowdrops can grow up to 10 inches tall and need at least six weeks of winter chill to produce blooms. The drooping, white flowers arrive in late winter to early spring. They grow an inch wide and contain three petals that surround a green, cup-shaped center. Plant them 3 inches deep and 3 inches apart in zones three through eight. Hellebores take at least two years to produce flowers prolifically, but they thrive in zones four through eight and produce blossoms from winter to early spring. They grow up to 2 feet tall from thick rhizomes and produce saucer-shaped flowers. Each flower comes in a pink, green, purple or white color and contains five petals. The waxy texture of the petals and leaves provide frost protection. Plant the rhizomes 12 inches apart. Florist's cyclamen grows only in hardiness zone nine, but smaller and hardier versions blossom from fall to spring in zones five through nine. Cyclamen plants, native to Asia and southern Europe, grow only a few inches tall. Heart-shaped leaves surround butterfly-shaped flowers in pink, red or white colors. Place the tuber-corms an inch below the soil's surface. Two- to 5-inch single or double flowers grow within this evergreen shrub. Large, glossy leaves provide a backdrop for the pink, white and red blooms. Camellias grow from winter to late spring and do best in the mild winter climates typically found in hardiness zones six through nine. 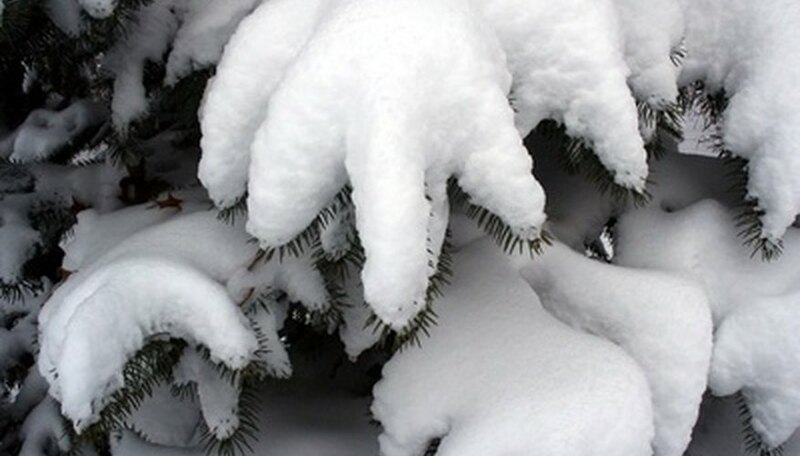 Provide winter protection by placing these flowers around the foundation of the house or underneath the cover of trees. When outside temperatures approach freezing, bring potted camellia plants into a chilly room, such as a garage.